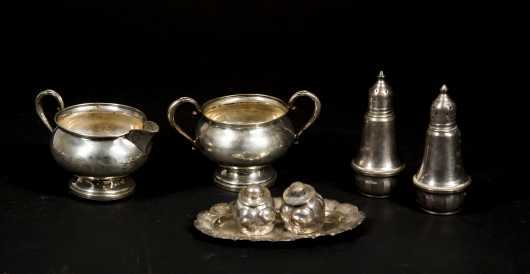 Miscellaneous Lot of Sterling SIlver, A) Creamer and sugar. B) Salt and pepper and small tray. C) Two peppers. 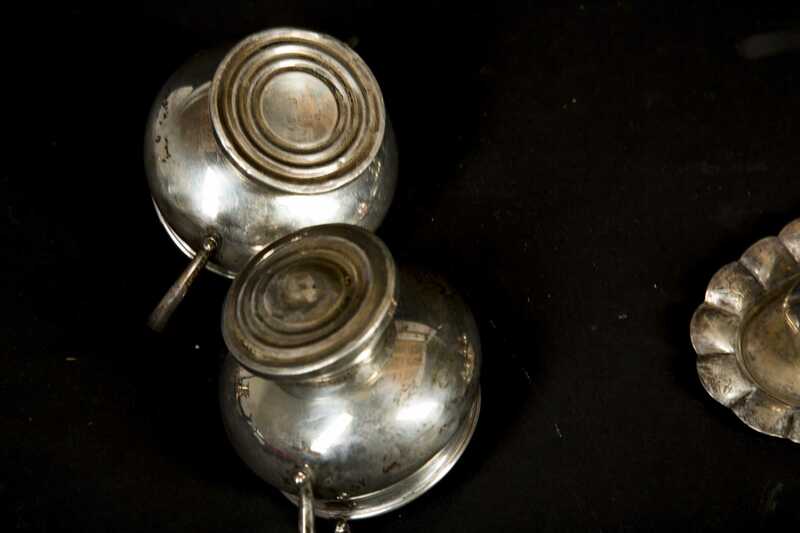 Total 14Toz of silver but two peppers, sugar and creamer have weighted bases.